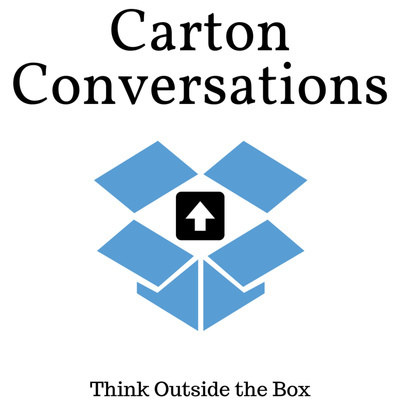 Welcome to the Carton Conversations Podcast, hosted by Chris Carton and Kevin Carton. In each episode, expect to think outside the box as the Carton brothers shed light on the core belief of the new age movement "you create your own reality". Topics include the Law of Attraction, manifestation, re-programming self-limiting beliefs, how to overcome self-sabotage, the power of having a vision, and much more. Get ready for your mind to be positively blown! Episode 8 - Quit That Job - Do What You Love! 1.5 years ago, after 5 years of school, a year studying and passing the CPA exam and 3 years of experience in the industry, I quit a job making 6 figures as an accountant / CPA to go back to school for 4 more years to become an Acupuncturist and follow my passion. AND Why you should too! Why you should quit that job you dislike and pursue your passion. Not sure what your passion is? I got you! Know what your passion is but are unsure how to take the leap? I got you! I get real on this episode. I hope you enjoy. We are creative beings. Often times we forget this. We walk through life believing that things are happening TO US instead of happening WITH US and THROUGH US. Do you have a dream you want to bring about? Are you stuck procrastinating or waiting for the "perfect moment" or for all of your "ducks to be in a row" before taking a leap to go after what you want? Kevin and I have been there. In this episode we talk about your power as a creative being and how you are ALWAYS creating. You don't get to stop the creative process while you decide for a dream or decide when to move forward. Hope you enjoy the episode! Helloooo! Today I had to opportunity to have a conversation with one of my good friends Donald @donsgoldennuggets. Donald has an amazing story. In middle school he was diagnosed with High Functioning Autism, which at first, was a welcome diagnosis to help him make sense of the way he was feeling at the time. Identifying with the label provided him with answers. But, not for long. This lead his on a path to look deeper within and transcend the label that was placed on him; as he puts it "Diagnosed with autism but, autism doesn't have me!" He is now on his own journey to help other transcend their own labels that have been placed on them by themselves and/or society. The path that he took to look deeper within has made him an incredible person to talk to about the deeper meaning of life, understanding oneself and others, challenging beliefs, and making greater connections. We delve deep into the topics of mental health, identifying with beliefs, self confidence, entrepreneurial journey's and much much more... Tune in! Episode 5 - "Go with the Flow and Go with your Gut"
Our guest today Miriam, is a Biology major and lover of the forest and all things nature. Today, we talk about the language of the brain, consciousness, self-care, and failure. Tune in! Your subconscious mind is the part of your mind that never forgets your experiences, how you reacted to them, and the emotions you felt because of how you reacted to them. This, over time, creates your internal operating system. When an event happens, you REACT. But who's reacting? Is it you in that moment? Or is it subconscious patterns? In this episode we break down your subconscious mind and how, if used CONSCIOUSLY, can be one of your biggest allies. Episode 3 - Who Are You? Hint: Its Not Who You Think..
Can you answer the question, "Who are you?" without listing your name, what you do for work, where you live, and what you enjoy doing in your leisure time? Difficult right? In this episode of Success Science, Chris and Kevin discuss the nature of what makes you, well, you! Once you realize you are the energy BEHIND all of the things you describe as you, it opens up a transformational opportunity to create who you want to be. Having a vision (a goal, a dream, a destination in mind) is scientifically proven to reveal to you opportunities, ideas, resources, etc. that are available to you RIGHT NOW. Without a vision, you are simply unaware of these things that can move you forward. Listen in to this episode where Chris and Kevin expand upon the scientific evidence that proves this, as well as how to begin to create a vision for yourself. If you already have a vision, you'll learn how to make it even more powerful. The very first episode of the Success Science Podcast!